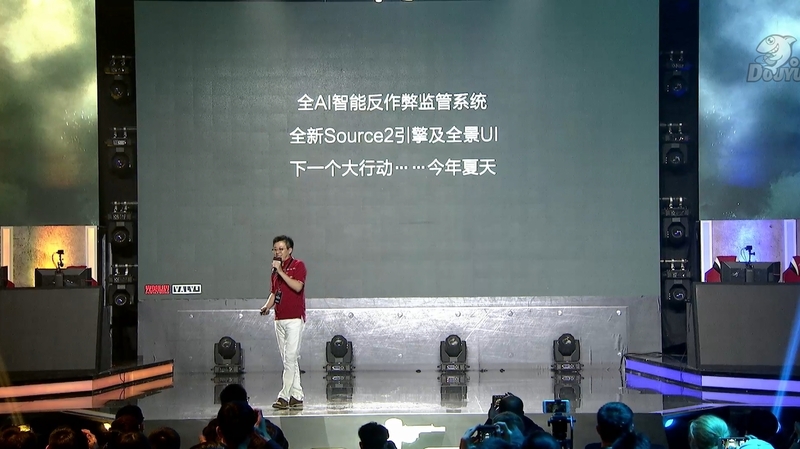 A presentation was done about Counter-Strike: Global Offensive [Steam] coming to China, where they revealed Source 2 was coming along with a new UI. This could mean CS GO will get Vulkan, like Dota 2 has. Exciting times, can't wait to see how it performs since I've been playing more of it lately. The Panorama UI is something Dota 2 gained with the big new refresh too, so it will be interesting to see the new layout in CS GO as well. Some of this was expected, since Valve's recent reddit AMA where they mentioned the Panorama UI amongst other things. Looks like this summer is going to be fun. YEEEEEEES, I was waiting for this! My predictions: no more "stuttery feel" to the game and VULKAN! You mean like the broken vulkan in dota 2? salamanderrake You mean like the broken vulkan in dota 2? It actually performs better for me than the OpenGL, but experience may vary between different hardware setups. What is Panorama UI ? syxbit What is Panorama UI ? Oh my god! I installed CS:GO just today and the performance is worse than it was 1 year ago..... Eagerly waiting for vulkan and source 2.
well, doesnt the steam client already use (some sort of) the panorama ui, does it? at least like browsing the steam store. it is just chrome/chromium running in the background. No, that's Chromium. Panorama is only used for the Big Picture UI in the Steam client. It is also used heavily in DOTA2. The store is literally embedded Chromium and is unrelated.